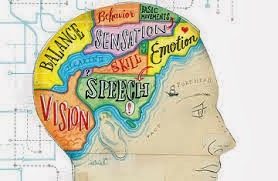 The Font of Knowledge: brain / noun 1. an organ of soft nervous tissue contained in the skull of vertebrates, functioning as the coordinating center of sensation and intellectual and nervous activity. brain / noun 1. an organ of soft nervous tissue contained in the skull of vertebrates, functioning as the coordinating center of sensation and intellectual and nervous activity. A Portrait of the Brain by Adam Zeman. Yale University Press. pp 246. This book was borrowed from the RDS. There are ten chapters and an epilogue, and a useful glossary of 180 words which gives easy access to their meaning, most of which I could not define or even recall. Most chapters were introduced with a case-history encountered by the author during his practice as a neurologist. 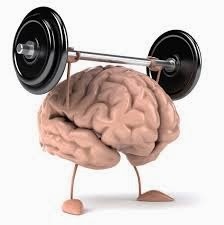 It is clear that a huge amount of knowledge of the physiology, anatomy and cellular function of the brain has accumulated in recent times and this knowledge has accelerated with the development of the various investigative techniques which are now available to us. The author is successful in conveying what is a difficult subject to his readers but the many concepts and unfamiliar words which are presented to the reader, even with my training as a doctor, would make it necessary to read the book again, and perhaps again, to understand some of the concepts and complexities which are described by the author. Words which are familiar but not clearly understood even to the trained physician include nucleic acid, organelles, mitochondria, eukaryotic and prokaryotic cells, messenger DNA, chromatin, prions, ribosomes, Golgi apparatus, lysosomes, and many more. I guess that a classical scholar might be more familiar with their meaning than the average physician! Some of the case histories are of rare syndromes which might have puzzled the most experienced neurologists but the study of these, thanks to modern investigative techniques and the clinical insights of the trained neuroligist, has helped to unravel the function of the brain to an extraordinary degree. These case histories are the basis of fascinating neurological detective stories. It is clear that the author has the knowledge, insights, classical learning and erudition to understand and convey the intricacies of a very complex subject and that his writing should be essential reading for to-day’s well trained physician, whatever his speciality. Chapter 10 is interesting and challenging as it enters the domain on the relationship between the science of the brain and matters of the soul, consciousness and beliefs, some of which have religious overtones. This element of knowledge includes our thoughts, emotions, personalities and behaviour. The author raises the question whether we can ever establish the scientific or physical basis of consciousness and our emotions. Based on our extending insights into the scientific basis of the brain’s function, it would seem to me that there must be a physical basis to our emotions and consciousness. Chapter 10 provides a challenging view of the author’s on this intriguing subject. In writing this short review I am conscious of the necessity of reading the book again if I am to achieve a better understanding of its contents. I am reluctant to do so as I have so many other books on my desk to review. If I were still in practice and not approaching my 90th year, I would add the book to my library. 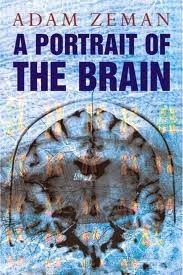 This short review does little justice to the importance of the book and to the intriguing case histories which provide the basis for the latter-day neurologists’ insights into the working of the most complex organ known to Man, the brain. I am left with the thought that some day homo sapiens will have achieved a computer so advanced that it will provide all the functions of the human brain and, perhaps with progress in microscience, an organ only microscopic in size. There is no reason to believe that the progress of scientific knowledge is likely to slow or stop except through the intervention of a final human holocaust. Reproducing the human brain will give rise to the most bizarre social and political circumstances for mankind, circumstances which are beyond the imagination of the current organ, remarkable and all as it is. Not a review but a few useful words.